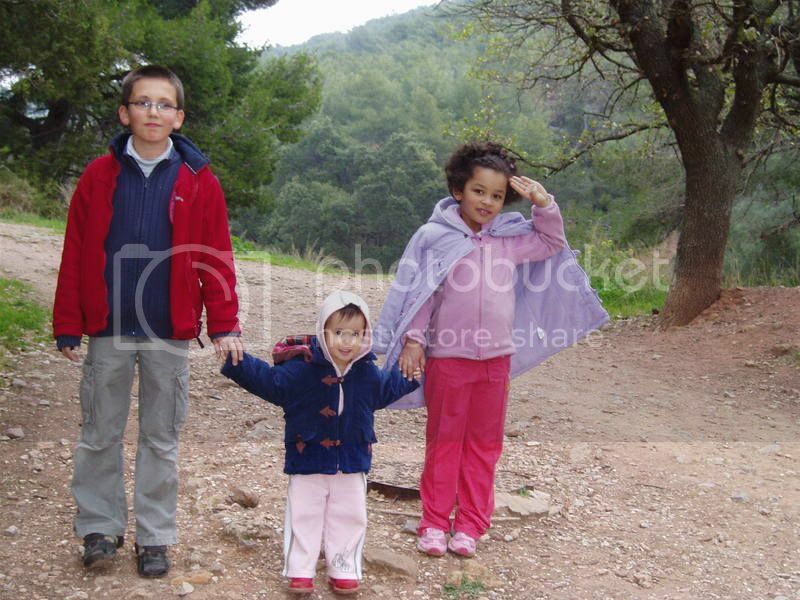 Across 2 Cultures - Cross-Culture Parenting and Lifestyle Blog: Her cousins in France. Today Laetitia met her cousin, another Lastennet, for the first time. She is the daughter of Etienne's cousin (her papa is the son of my father in law's brother). As my in law has a small family, there are not many Lastennets in Laetitia's generation. So far, there are three. Laetitia, this little girl, Thaïs, and her younger sister who did not come along today. Laetitia got on fabulously with her newly met cousin as she usually does with children. 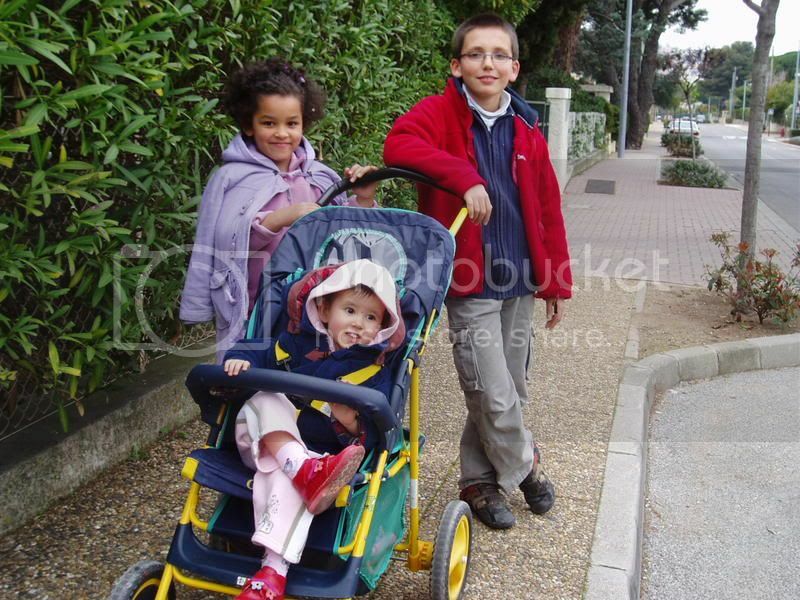 She was happy to go for a walk with both Thaïs and Alexandre. 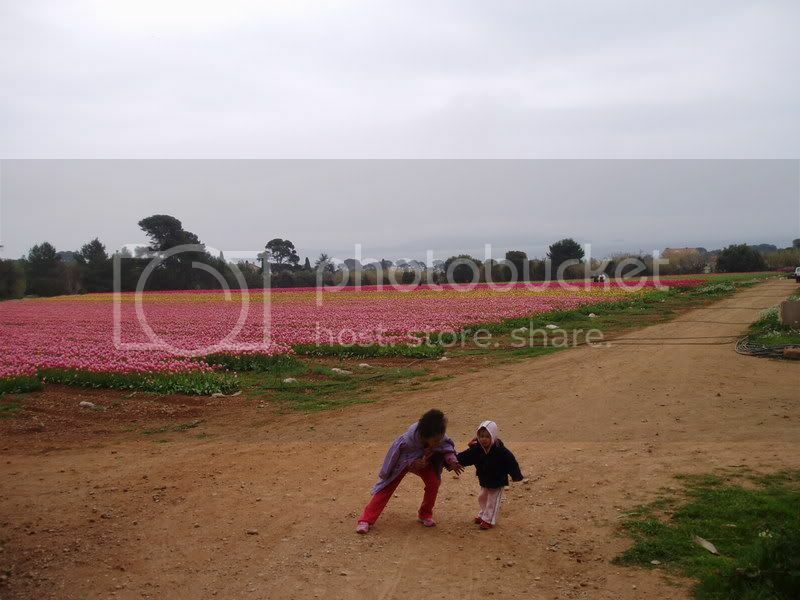 My mother in law took them to a little tulip park/farm very close to their place (within walking distance). Here's another picture of the three cousins striking a "cool" pose. 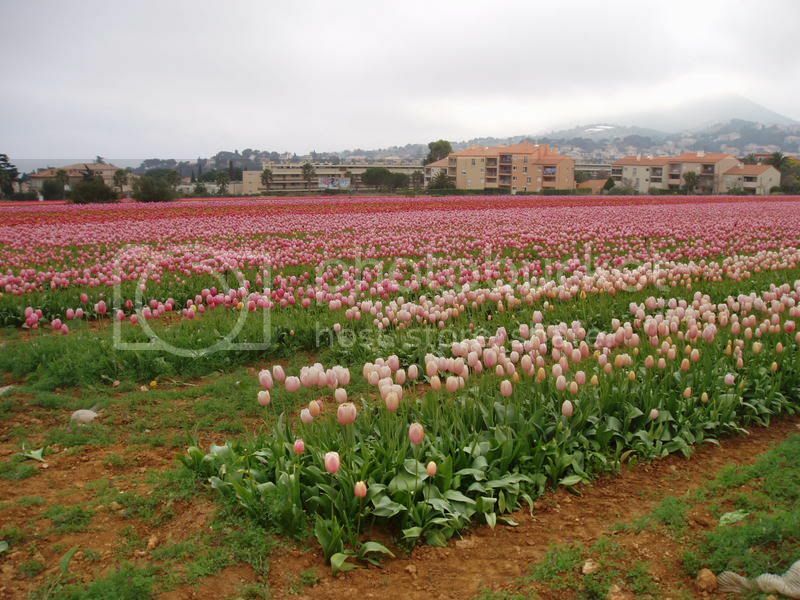 The farm is just 5-10mins walk from my in laws place in this little town called Carquerianne by the cote a'zur.